Fortune tellers may read tea leaves to predict the future, but you will be surprised how much you can learn about the past by looking into the depths of your hot chocolate. On a recent trip to Guatemala, I got schooled in the art and history of chocolate at the Choco Museum, Antigua. Forty-percent of Guatemala’s population are descendants of the Maya, an ancient civilization that had a pivotal role in the development of chocolate. So what better place to learn more about the confection!? 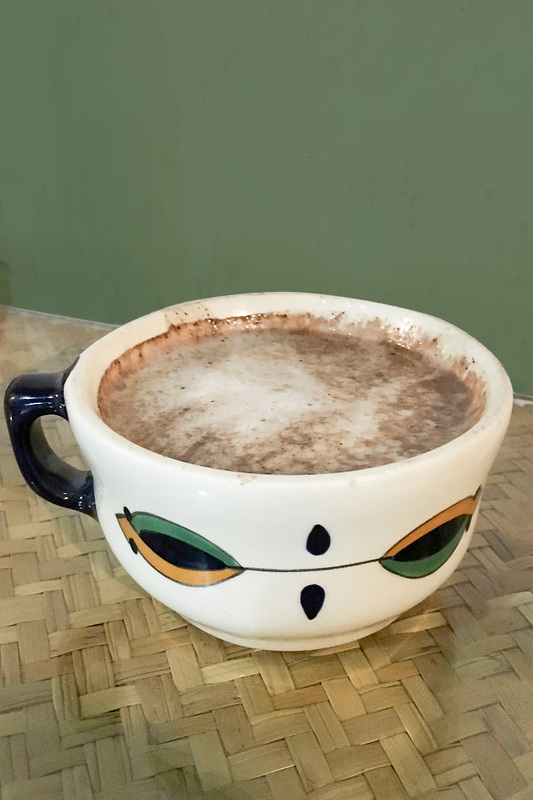 Now stare into your mug of chocolatey goodness and let me take you on a journey through time to ancient Mesoamerican civilisations, and around the world from the rainforests of Ecuador and Guatemala, to as far away as Spain and Sri Lanka. 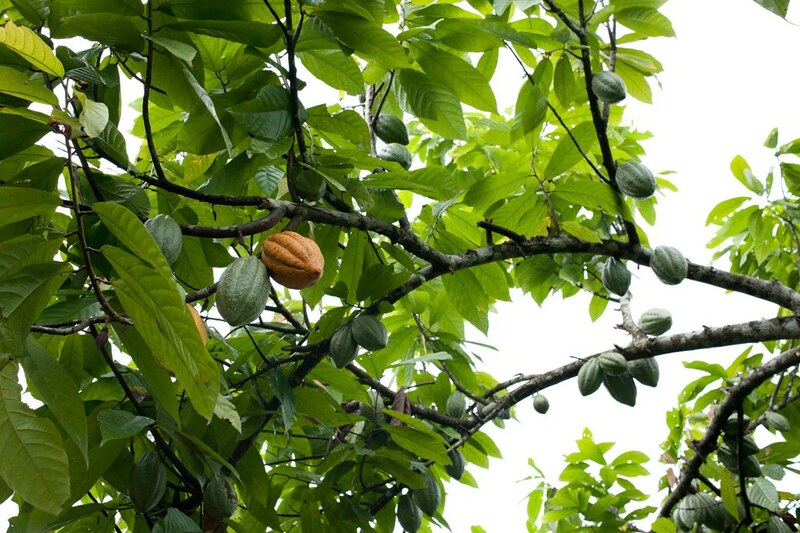 It’s believed cacao, the fruit from which we derive chocolate, originated in the rainforest lowlands of Ecuador. It was tiny pollinators such as small flies and mosquitos (they are good for something after all), that brought the species northward where it flourished in tropical areas of southern Mexico and Guatemala. Though the Maya get most of the credit for developing cacao, use of the fruit goes back to their predecessors, the Olmecs of southern Mexico (c. 1200–400 BCE). However, the Olmecs weren’t big on keeping historical records, so it’s hard to know exactly what they did with the fruit. Archaeologists think they developed it into a drink as ancient Olmec vessels from around 1500 B.C. were discovered containing trace amounts of the feel-good chemical theobromine, which is found in chocolate and tea. The Olmecs likely passed on their knowledge and techniques to later civilisations: the Maya and Aztecs. The Maya (c. 250-900CE) lived largely in tropical locations such as Guatemala and Belize, as well as parts of Honduras and Mexico—areas abundant in cacao plants. They refined a process for creating chocolate from cacao that began with the harvest of cacao fruit and removal of the beans from the pods. The pods were fermented, dried and roasted. Once roasted, the nibs could easily be removed from their shells and then were ground into a fine paste. The Maya consumed chocolate as xocolatl (pronounced show-col-ah-til) translating to “bitter water” and it was referred to as “the drink of gods.” They combined the cacao paste with hot water, chilli and maize (corn) to create a lumpy, bitter drink. If you were lucky enough to be royalty, they would add honey to sweeten the mix. All classes of Maya society had access to cacao, and it was deeply revered. Maya artifacts show imagery of kings and gods consuming xocolatl. Cacao was incorporated into religious ceremonies and special celebrations such as weddings and funerals. The Aztec’s home turf was not so favourable for growing cacao and they had to trade with the Maya for beans-1 for a tamale, 3 for an avocado, 30 for a small rabbit and 200 for a turkey, are some examples of the exchange rate. Due to this lack of accessibility, cacao was a privilege enjoyed by the proverbial 1% of Aztec society who could afford or were allowed to drink chocolate. The Aztecs added vanilla, black pepper and achiote to their hot chocolate drink. They also had folklore accounting for cacao’s creation and association with the gods. Quetzalcoatl (pronounced ket-za-koh-AH-tul) the God of Vegetation was thought to have brought a cacao tree to earth and taught people how to cultivate the plant and make the drink. The other gods were angry that Quetzalcoatl shared their sacred drink with mere mortals and tossed him out of the heavens. Quetzalcoatl vowed to return, and this is where things got misconstrued and ugly. How do you say “chocolate”? Believing that the arrival of conquistador Hernán Cortés in 1519 was the god Quetzalcoatl returning, Aztec emperor Montezuma II offered the prized chocolate concoction to the Spaniard along with other great hospitality—and we all know how that turned out! Cortés didn’t like his hot chocolate much but saw enough potential to take it back to Spain with him. Of course, the Spanish couldn’t get their tongue around Xocolatl and gave us the word “chocolate” (pronounced show-cal-ah-tay in Spanish) as a rough approximation. 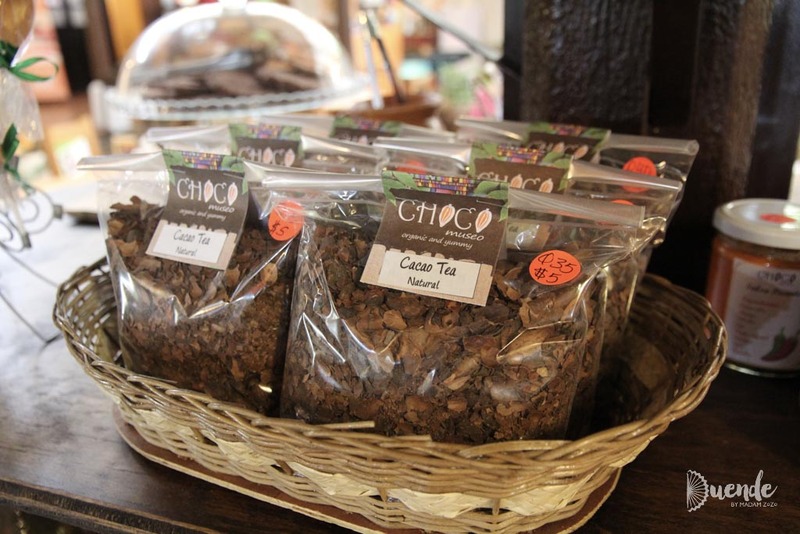 In Europe, cacao was first used for medicinal purposes. As they began to experiment with adding milk, sugar and spices such as cinnamon that had recently been discovered in Sri Lanka by Portuguese traders, the drink became more palatable and its popularity spread. Unfortunately, as these things tend to go, popularity meant heightened demand—cue colonial plantations and slavery. Chocolatiers also looked for ways to spread precious cacao further and cheapen their product. Now for some serious chocolate industry name-dropping… Prominent British confectioner Joseph Fry, patented a machine to grind peanuts which also came in handy when grinding sugar and cacao paste together. Cacao and sugar melt at different temperatures, so it wasn’t a simple melt and mix recipe. The two had to be ground together for hours – the more grinding, the finer the chocolate. Word on the street is that Lindt grinds theirs for 72-hours to achieve their melt-in-your-mouth texture. In 1828, a Dutch physicist Coenraad Van Houten patented a hydraulic press (probably invented by his father) that would squeeze the fat out of roasted cacao beans. Cacao beans are approximately 54% natural fat. That machine gave the world cocoa (the powder) and cocoa butter (the fat). After Van Houten’s patent expired in 1838, other innovators began to experiment with chocolate development. Around 1831, John Cadbury came onto the scene in England, selling and then manufacturing drinking chocolate and cocoa on a commercial scale. In 1847 J.S. Fry & Sons also of England moulded the first chocolate bar. He was followed up almost three decades later in 1875, by Daniel Peter who made the first milk chocolate by using powdered milk and condensed milk, both developed by German pharmacist Henri Nestlé, and cocoa. 1879 saw Rudolphe Lindt improve the texture of chocolate with his invention the conching machine, which evenly distributes the cocoa butter within the chocolate. One of the negative implications of technology that separates cocoa powder and butter is that cocoa powder can be mixed with cheaper ingredients to create more chocolate of lesser quality. Think of all the rubbish they put into cheap commercial chocolate bars today: palm oil, corn syrup etc. Hence regulating bodies around the world have had to put in place minimum standards for labelling chocolate as “chocolate” and these vary from place to place. Milk chocolate has a minimum as low as 10% in the US, 25% in the EU. White chocolate does not meet the definition of chocolate at all because it doesn’t contain any cacao. It is cocoa butter mixed with sugar and milk. Therefore, if you want to know your chocolate is of good quality look for “cacao” on the ingredients list, and leave the one that says “cocoa” on the shelf. It will be more expensive, but it’s worth it! Once you get a taste for real chocolate, you’ll turn your nose up at the other stuff. Woof! Did you get all that? Now if you’re ever feeling stuck in one place you can make a hot chocolate and take a trip around the world – just remember to make like a Maya and do it with cacao!! 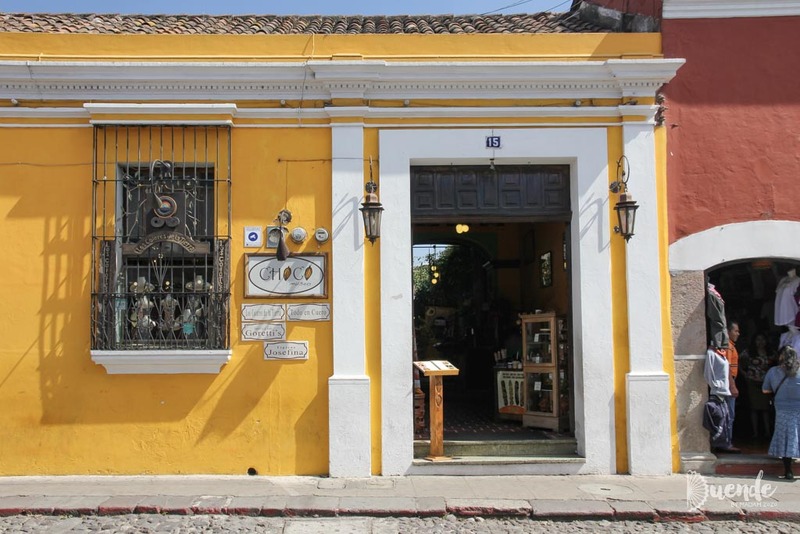 For your very own chocolate experience in Guatemala or elsewhere in Central and South America, I recommend the Choco Museum–they aren’t paying me. 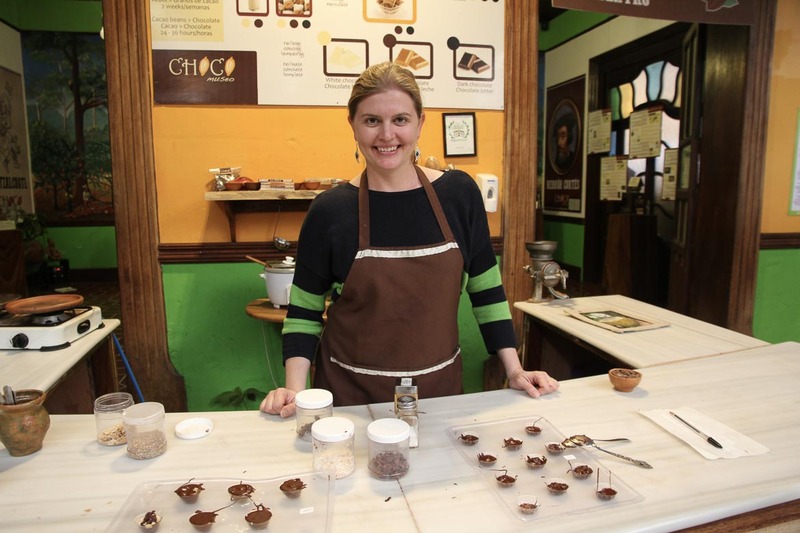 The chocolatier and museum offer everything from cacao plantation tours and full “Bean to Bar” lessons, to brief 45min chocolate workshops for those short on time. You’re so totally right about the crap chocolate that is out there! I always use cacao powder and organic butter for my homemade Swedish chokladbollar with added dark chocolate. The taste is much richer but also healthier and better for the environment without palm oil! I really want to go visit cacao farms, wine regions, and coffee regions around the world… so many places too little time right. Quality ingredients make all the difference, don’t they? I would love to try some of your delicious Swedish chokladbollar one day.